These fictitious units of the Allied armies are established in accordance with the plans of Operation Fortitude. The objective is to let the adverse spies believe in the existence of a real army capable of invading the Pas-de-Calais. This resulted in the retention of nearly 150,000 German soldiers in this area for several weeks after the disembarkation of June 6, 1944. The composition of this army, which existed as such only on paper. Deployed in the deception operation on Norway as part of Tindall and Fortitude North, it reappears at Heathfield in Sussex for Fortitude South II as part of FUSAG, with the II and VII British Corps and the 35th Infantry Division (ID), in addition to support elements of the Army. Its headquarters (HQ) is in Colchester and this unit participates in the fictional operation in the area of Kehl-Bremen, set up in conjunction with the operation on Arnhem. In December, it was fictitiously moved to Yorkshire to threaten Holland (Operation Trolleycar), at the end of 1944. It was disbanded in February 1945. Located in Luton East Anglia, designated to represent an Army in 1943, it is theoretically capable of carrying out an assault at any point on the coasts of northeastern Europe. Never “deployed”, it is however preserved in the order of allied battle brought to light by the Germans until the end of the war. Actually in France in 1940, commissioned by Sir A. Brooke. 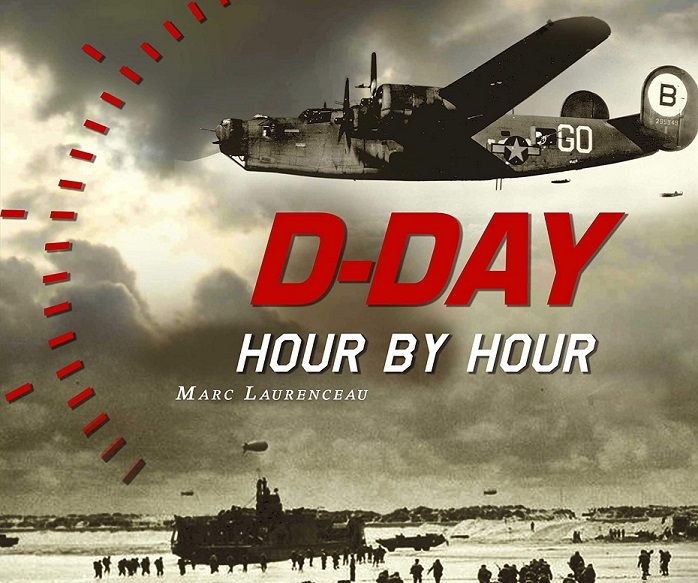 Disbanded early 1944 when it was chosen as a future fictional element of Operation Fortitude. His HQ is in Stirling, Scotland, he has the (British) 3rd ID quickly replaced by the 58th ID (fictitious), the 55th ID in Northern Ireland and the 113th Independent Infantry Brigade in the Orkneys. The II Corps must attack Stavanger with the 58th and, supported by commandos and parachutists, must take the aerodrome, the 55th arriving thereafter. The real XV American Corps based in Ireland was then to follow during the advance on Oslo. Transferred to FUSAG in early June, it went to Lincolnshire, then returned to the 4th Army for Fortitude South II. Its headquarters were then based at Tunbridge Wells in Kent, where it had the 55th and 58th IDs and the 35th Armored Brigade (AD). Transferred to France at the end of September, it then includes 55th ID, 79th AD and 76th ID. The 59th ID is dissolved but remains in the fictional battle order. In November 1944 it was attached to the 1st Canadian Army as part of Operation Trolleycar. Actually in France in 1940, disbanded at Christmas 1940. Fictional unit reactivated as part of the 4th Army, its headquarters is in Dundee with the American 55th ID (in Iceland), the 52d British Lowland Division (in Dundee), a Norwegian brigade and three fictitious Ranger battalions. It traveled to the south of England with the 4th Army for Fortitude South II, its headquarters moved to Folkestone in Kent, where it then had 61st IDs, 80th IDs and 5th ADs (fictitious). Then it found itself in East Anglia in September, in Yorkshire in December, before being disbanded in January 1945. Part of Fortitude South II, belongs to the II British Corps, its headquarters is located in Grantham and Skegness in Lincolnshire. Composed of the 11th and 12th Para Brigade and 1st Air Landing Brigade, as well as elements of divisional support. Directly under the control of the FUSAG, its objective is to make believe a threat on Kehl-Bremen. It was disbanded to provide substitutes to the 1st and 6th Airborne Divisions (real) in December 1945. Part of Fortitude South II, belongs to the British VII Corps, its HQ is located in Newmarket. It is composed of the 37th Armored Brigade (AB) and the 43th Infantry Brigade (IB) in addition to divisional support elements. It went to Yorkshire in November 1944 before being disbanded in January 1945. Originally an actual division of the Home Force, disbanded in 1944. Included by the Germans in the battle order of the FUSAG, the Allies keep it (fictitiously) and assign it to the 21st AGp. It includes the 28th AB and 7th IB in addition to divisional support elements. Element of the II Corps in the framework of Fortitude South II. Created to replace the actual 3rd ID at the beginning of Exercise Fabius, it is scheduled for an assault on Stavanger. The Germans are convinced that this division is located in the Windsor area. Composed of the 173rd, 174th and 175th IB, it also includes divisional support elements. It appears in Aberlour, performs mountain training in Aviermore, it is in Kingcaid then Dufftown in mid-April, and travels south of Glasgow to hone its mountain training. It conducted landing training at Greenock in late April, and then continued training near Glasgow. In May, it is in Lincolnshire and then in Kent in June as part of Fortitude South II. Its headquarters are at Gravesend. In September it was in East Anglia, in November in Yorkshire, and then returned to Hertfordshire in early 1945 before being disbanded in April 1945. An actual division which is disbanded after the battle of Normandy, but remains fictitiously active as an element of the II Corps. Originally an actual division of the Home Service Reserve, renamed 38th ID, but which retains the name and badge. Composed of the 50th, 211th and 208th IB. Assigned to the VII Corps as part of Fortitude South II, it went to Lancashire and set up its headquarters in Canterbury. Assigned to the II Corps, it stayed there until September and returned to the VII Corps before joining Suffolk in October. In December it took up its quarters in Yorkshire with the 4th Army, then in East Anglia where it was disbanded in April 1945. A fictitious naval force created for Fortitude South and Fortitude South II, to cover Neptune’s operations to the Germans. It comprises the forces F, M and N.
A fictitious naval force present at Sheerness (where its headquarters is located) and at Harwich, its presence is materialized by the use of radio waves between May and June 1944 in liaison with BIGBOB. 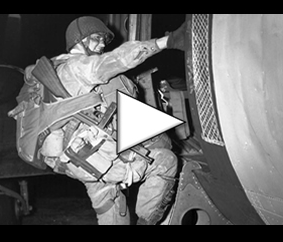 At the beginning of June 1944, it simulated via the radio a disembarkation training with the American 28th ID (Operation Saw). It is the same in July and August but with the American 59th ID. A fictitious naval force located at Portsmouth (where its headquarters are also located) and in Newhaven, fictitiously composed of landing crafts returning from Normandy, its presence is materialized by the use of radio communications in July and August. It performs fictional training landing with the British 55th ID in Hayling Island. A fictitious naval force located at Southampton, fictitiously composed of landing crafts returning from Normandy, its presence is materialized by the use of radio communications in July and August. It performs fictional training landing with the 17th ID in Studland. Present in the Clyde to land at Stavanger as part of Fortitude North, its presence is materialized by the use of radio communications in April and May. It performs fictional training landing with the British 58th ID.